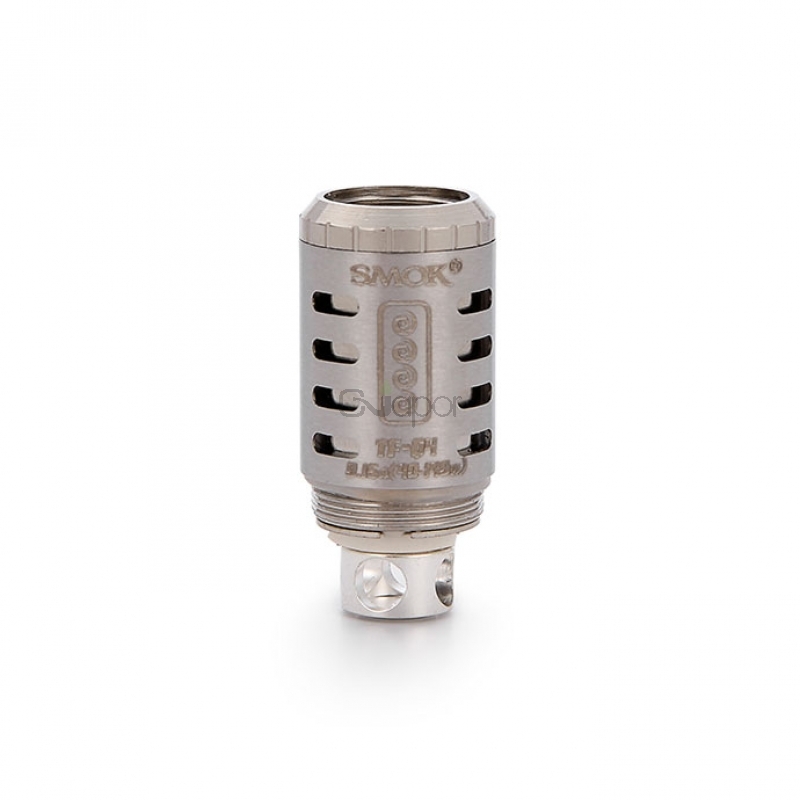 Smok TFV4 atomizer has four types of coil heads to meet your different vaping demands.And all coils have been used organic cotton as wicking material,which can produce a purer taste. 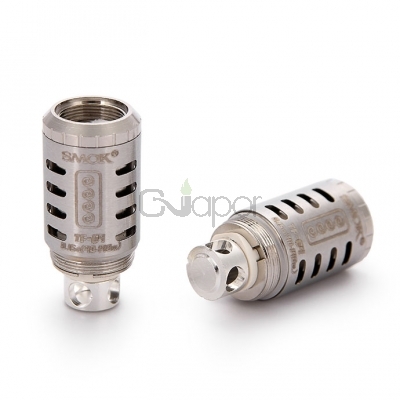 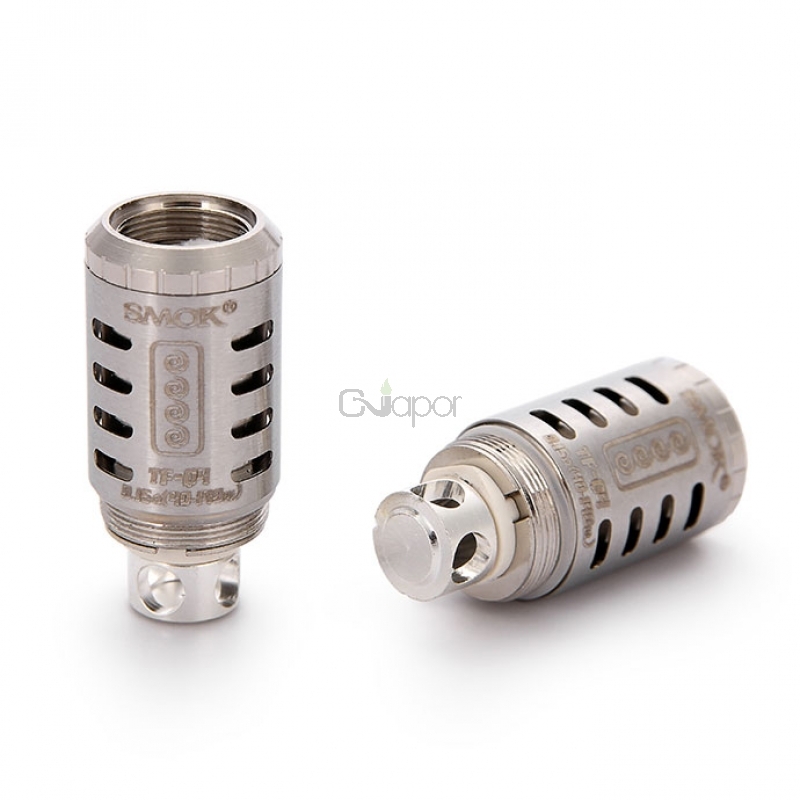 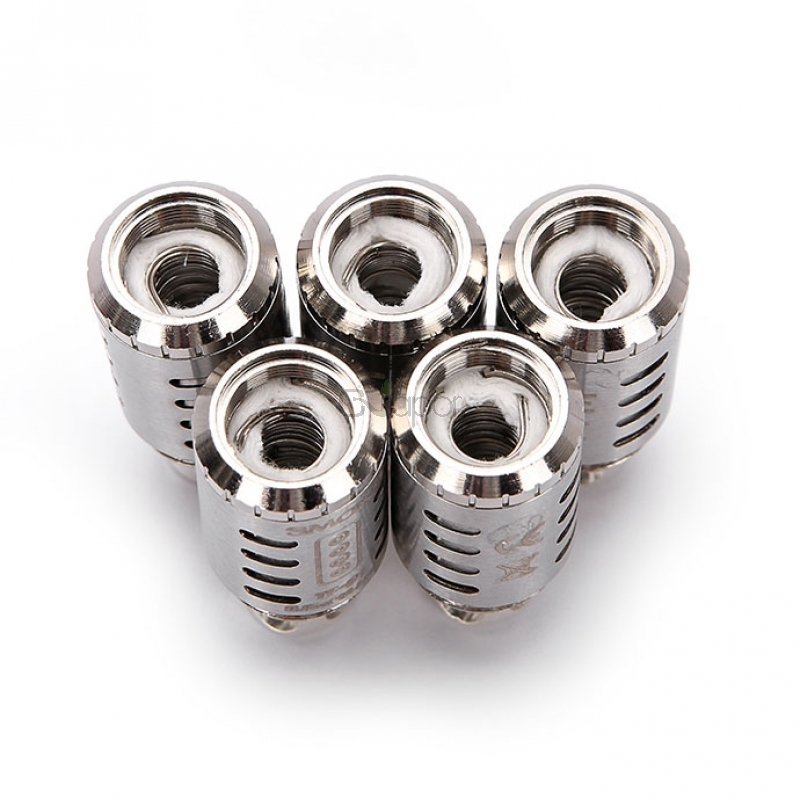 TF-Q4 is quadruple coil for new patent sub-ohm atomizer.Its resistance is 0.15 OHM(40w-140w). 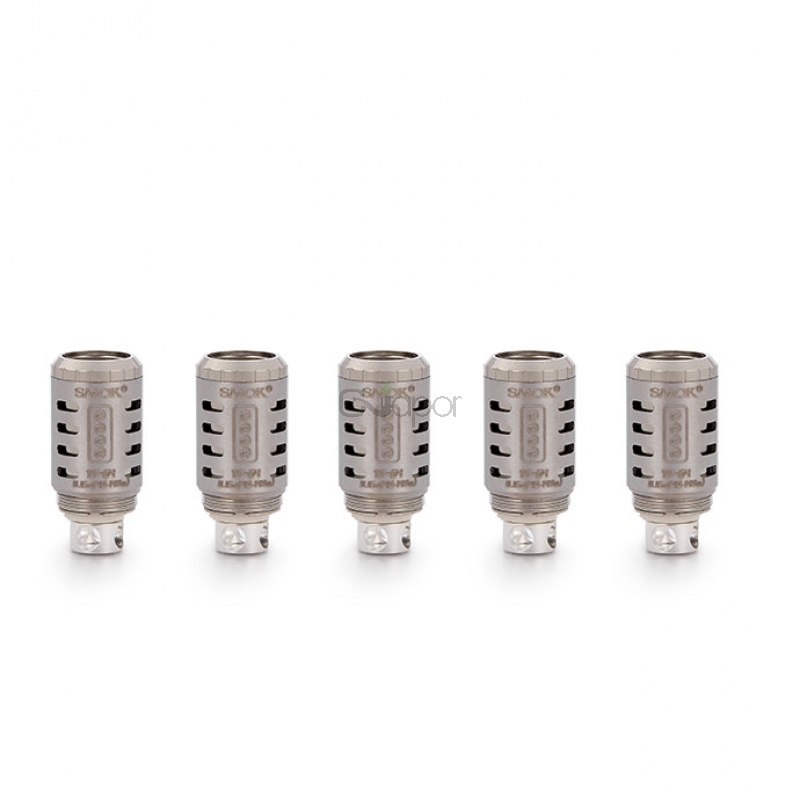 Warning: Coils musted be checked for resistance before they are fired on a device,and re-checked periodically to ensure the resistance remains the same. 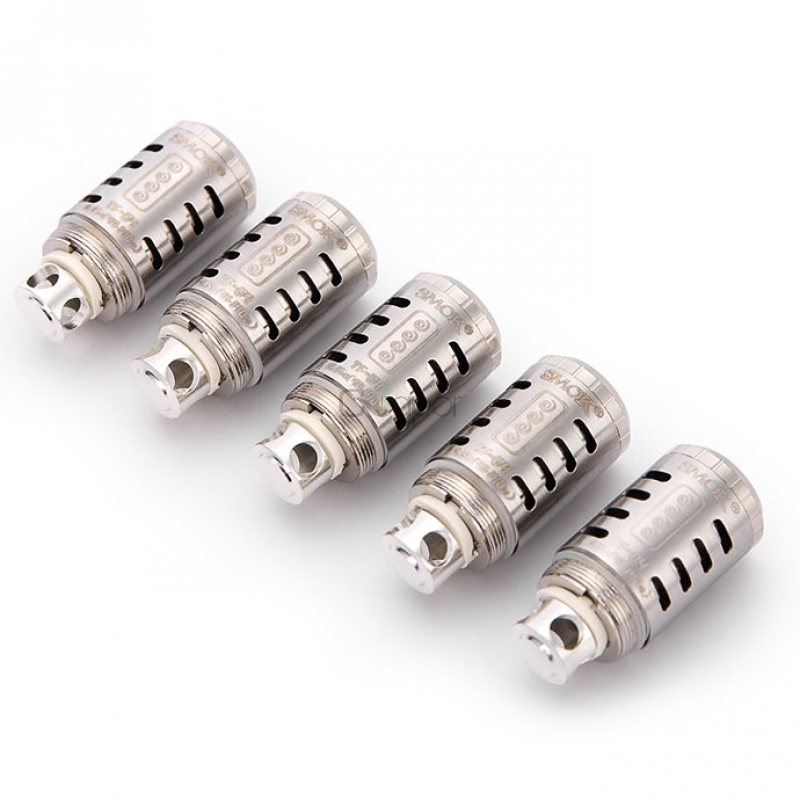 3, New patent Sub-ohm atomizer.